And as we understand it is an allusion to another build, although the developers have promised that the 13th will be the last. It is even possible release of the full version, as there is no build inscription on the screenshot! MCPE 0.11.0 build rewievMinecraft PE 0.11.0 update pleased us. But Mojang not realize all the expectations of users. Fishing and Squid in MCPE 0.11.0Developers returned from GDC and already share with us very good news - in 0.11.0 will finally added the fishing! 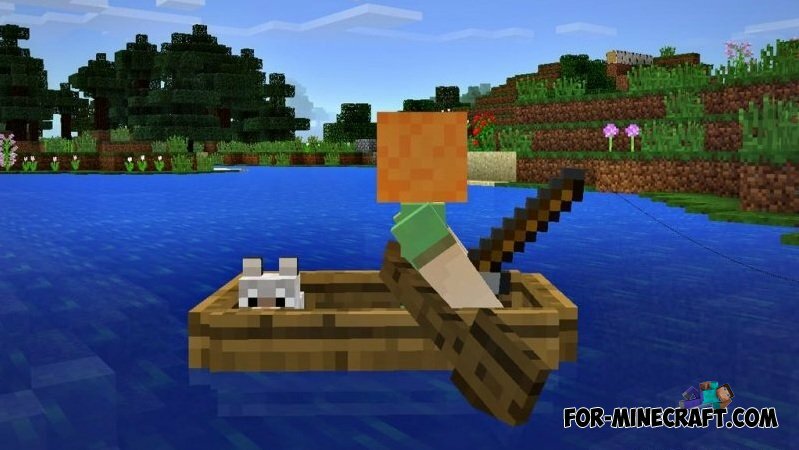 Boat for Minecraft PE 0.10.4 / 0.10.5The mod adds a full boat, which can be controlled by paddles! To sit down take a hand paddle and Tap by boat to boat break destroy any object.